Photo: More to it than Angkor. It won’t come as a surprise to us if many of you find Siem Reap to be an exceedingly liveable place, what with all the lofty palm trees, world wonders down the road and an abundance of international restaurants that make it hard to miss home comforts. Many a traveller has found a couple of days in this corner of Cambodia quickly turns into a couple of weeks, or even months (years if you’re not careful). So if you’re thinking of hanging around in temple town for a longer stay then here’s a start on how to make Siem Reap your temporary home. Ad Heading to Cambodia’s islands? 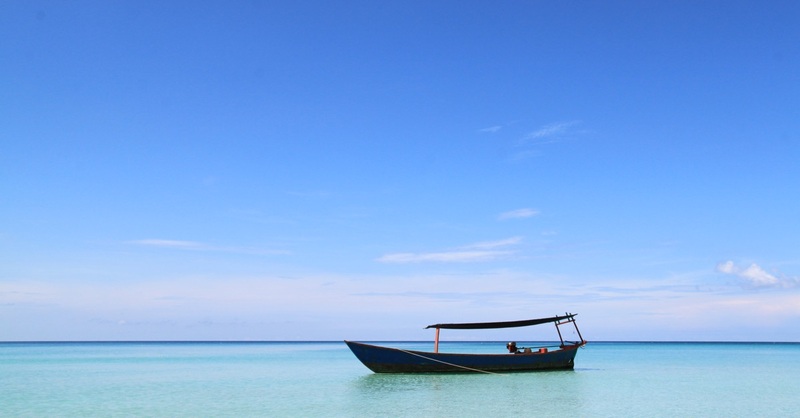 Book your ferry with CamboTicket. First up: where to stay? An affordable and practical option is an extended stay at a guesthouse. In fact, if you look on websites like AirBnb most of the listings are deceptively of guesthouses. In low season (June till September) you can simply turn up and negotiate the price, but in high season (October till March) you’ll likely need to book longer stays in advance. The disadvantage to staying in a hostel or guesthouse is the lack of kitchen facilities – even if they’re advertised be sure to check they consist of more than a minibar and a kettle. Renting an apartment in Siem Reap is the way to go to create more of a home. Leases are typically for six months to one year and you’ll usually need to pay two months’ deposit plus one month rent in advance. That said, it is sometimes possible to take over the lease of tenants moving out early or to simply ask and negotiate for fewer months – expect to pay less the longer you stay. There is a useful dedicated Facebook page for those seeking to rent or rent out properties in Siem Reap, Siem Reap Real Estate. The Facebook group Expats and locals living in Siem Reap, Cambodia can also be a gold-mine of useful information (though mixed with all too often public spats, rants and ramblings by expats — this is why you may find some groups ‘closed’ but simply send a message and you’ll be allowed in). Rental accommodation is frequently listed, including basic, furnished, one-bed studio apartments where you can expect to pay around $150 a month (excluding bills, with air-con being the main additional cost). You can also occasionally find short-term options when expats go away on holiday and look to sub-let for a few weeks. Online check Angkor Real Estate and Siem Reap Properties. 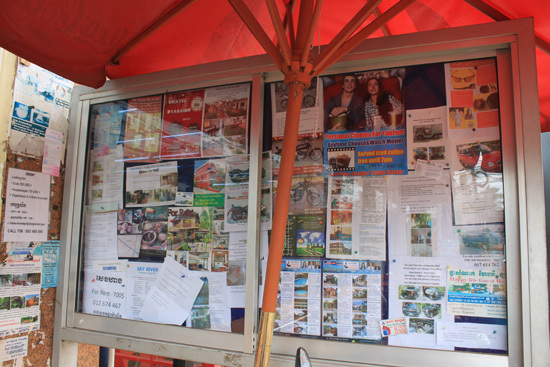 Otherwise find a moto-driver and meander around town and look for to-rent signs or browse the adverts on the bulletin board outside Angkor Market Supermarket. Serviced apartment options suit business travellers better due to their higher cost. Karavansara Residences, Chateau D’Angkor La Residence and Steung Siem Reap are among the best options. Although apartments usually come furnished, this may mean a kitchen simply has a work surface and sink (no oven, kitchen utensils, or anything useful to actually cook with) and a living room with large wooden furniture that is impossible to lift and required the felling of an entire forest to make. The Facebook group Buy and Sell Cambodia is a treasure trove of handy items such as tables, chairs and cutlery, while Sakura (Road 6, opposite electrical store Akira) though a secondhand clothes shop stocks a random assortment of kitchenware. The local markets – including Old Market and wholesale market Psar Leu – are the places to go for new kitchen equipment, portable gas stoves (around $5 each) or to get bedding and cushion covers made. If spending all day, every day seeing the sites, cycling through the countryside and drinking and dining for next to nothing isn’t enough to keep you busy then you might consider getting a job to fund your lifestyle. Thanks to low living costs you don’t need to earn much to live well; salaries are weighted accordingly so unless you’re a business owner, your pay check won’t match what you can get in more developed countries. The main industries requiring foreign workers are in travel and hospitality (tour companies and hotels), teaching English and NGOs. For short-term work casual bar work is one option, but if you have a specialist skill — musician, yoga teacher and so on — then you’ll have more to choose from and are best off contacting businesses directly. Siem Reap is a relatively transient town making for fairly high staff turnovers so it’s well worth emailing companies or organisations you think you’d like to work for with speculative applications. Though there is plenty of volunteer work, make sure your skill set matches the need e.g. you’re a qualified teacher if you’re planning to teach, or social worker if you’re planning to work with children. Children are not tourist attractions, despite the many dubious volunteer positions advertised. The Facebook group Siem Reap Job posting is a helpful place to start. Larger organisations are more likely to use recruitment sites — NGOs for instance advertise on Idealist.org or on their own websites. Bongthom.com is a recruitment website and lists classified ads but despite being in English almost exclusively serves the local Cambodian job market. Expat Advisory is, as the name suggests, a resource aimed at expats and has extensive jobs listings. These are primarily in Phnom Penh, but it’s worth checking out for Siem Reap too. If you already have a job that allows you to work from anywhere, then you’ll be glad to know Siem Reap has two co-working spaces. If you’re planning on staying in Cambodia for more than two months, you’ll need a business visa. If you didn’t get one on entry, you’ll have to do a quick run to Poipet or O Smach to get one. Once secured, it can be renewed indefinitely. The authorities have started to crack down on work permits for foreigners. You need one, or it is likely that further visa extensions will be refused. If your workplace is visited, you may also be subject to a fine if you don’t have one. It costs $100 per year, and you need to go to the Ministry of Labour in Siem Reap to get it. Bring four passport photos and the fee. If you have a copy of your contract, that will help, but it is not strictly required. You don’t need to (most likely cannot) secure a work permit before arriving in Cambodia. Read more information on visas for Cambodia. Whether you’re into singing, football, spoken word, food or photography, whatever your interest it’s likely another expat shares it, with multiple groups set up for like-minded folk to get together. Facebook groups are again your best source of info, while special events such as live music or one-off events are advertised on Wat’s Up Siem Reap! It’s easy to meet people and thanks to the developed volunteer industry in Siem Reap you will never be the newest in town. Last updated on 5th August, 2017. Where should I stay in Siem Reap? Where are you planning on heading to after Siem Reap? Here are some spots commonly visited from here, or click here to see a full destination list for Cambodia.